We still experience long VOC (void-of-course) days in 2014. This is when the moon no longer makes any geometric aspect to another planet until she leaves that sign. Prolonged VOCs occur when all the outer planets are in low degrees of a sign, as now with Uranus, Neptune and Pluto. Since the moon has to do with emotions/moods, when she’s VOC, people don’t have an emotional attachment to the outcome of a project or purchase. That is why it is not recommended to sign a contract, buy anything of value, schedule an important meeting, contact a new prospect for the first time or start a new project during the VOC. It reminds me of the myth of Selene, one of the older goddesses of the Moon. The old myths are harder to unravel because so many of the tales were oratory and lost. 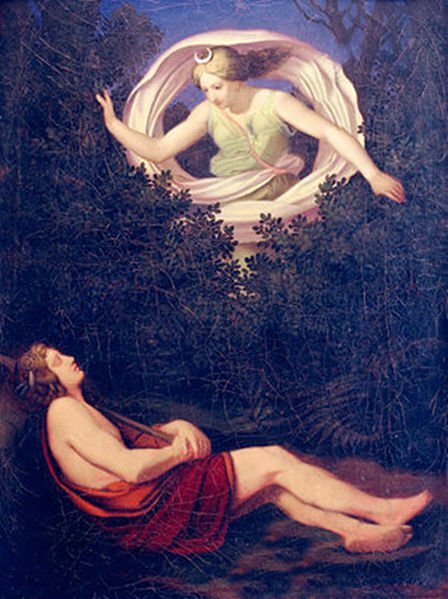 Selene is said to have loved the half-mortal Endymion. She begged his father Zeus to grant him eternal youth, so he would never leave her. To do so, Zeus put the young man in an immortal slumber so Selene could gaze on him. Yet Endymion was unmoved to take any action in his state of suspension. A void-of-course moon period may put many of we mortals in a bit of a trance, which is why it’s so good to clear, organize and release from things that would usually hold us in place. HOWEVER, if the VOC moon touches a significant point in your PERSONAL horoscope, this could be a game changer. This is a karmic moment, which means you could be in a position to make a decision or start something that has a destined purpose. This is why it does matter to have dates checked by a professional if something important is at stake, unless you can make this calculation yourself. Often when we discuss voc/void-of-course moon, an astrologer suggests it as a time to organize, reflect and recharge. Yet our lives always experience the present as it opens to the future, whether we are in stasis or not. 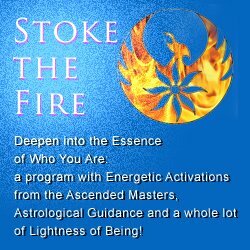 Things do not freeze in place during the void periods, but move from one energetic mood to another. Your heart beats on, your breath flows. So the void periods are not Endymion solo, but the tension between his slumbering countenance and Selene’s ability to at any time free him from his torpor. Think of the voc/void-of-course period as a segue, which is defined by Webster: proceed to what follows without pause —used as a direction in music. What makes a segue work? I’m no musician, but it’s often the beat- we are not taken by surprise, but we are often delighted, elevated, put into action. In the same way, your heart beats, your breath flows. The signs next to one another on the zodiacal wheel are disparate from one another. Arguably, the biggest disparity in zodiacal signs are Pisces and Aries. Pisces is music, imagination, dreams, spiritual connection and Aries? The motorcycle revs: rock and roll. A great example of graceful Pisces/Aries segues? Queen: Bohemian Rhapsody. There is always a positive way to use the VOC energy but you can’t force it. Avoid shopping unless you know what you’re going to purchase ahead of time – however be prepared because it is common to find it out of stock! Moon is void-of-course in Aries, do some movement- either exercise or walk… because frustration may be high. The desire to move forward is thwarted by the or VOC. People can’t agree because everyone has a singular point-of-view and inability to compromise. If you’re going somewhere new make sure you have clear directions and a map because fast movement can miss turns. Moon is void-of-course in Taurus, relaxation is demanded. You can try to accomplish a big task, but that couch looks awfully inviting. Give in and let yourself enjoy a leisurely lunch and your productivity will increase afterwards. Financial matters may want consideration, but chew over them carefully rather than bite down conclusively on any one offering. Moon is void-of-course in Gemini, conversations can be particularly misunderstood; avoid important correspondence or phone calls. Gather information. Listen. Great time to clean out old emails and tidy up your desktop. Moon is void-of-course in Cancer, be by the water, time with family or sifting through memorabilia. May be a lovely time to enjoy a picnic or meal with no time constraints. If you find yourself in the work environment and encounter situations that are reminiscent of family, it is helpful to observe if this is constructive or an illusion? Moon is void-of-course in Leo, you do well to play: window-shop, go to a museum or performance, flirt, and make some artwork. Get in touch with a spirit of generosity; warm people with compliments. Observe whether or not you get the appreciation you require and if not, give yourself a lift. Moon is void-of-course in Virgo, the void-of-course is great for organizing, finessing a project or exercise routine and clearing out closets. What is something seemingly insignificant that you’d like to make time to do? This may be the perfect time for it. Moon is void-of-course in Scorpio, you may find a lost object when you clean. If you’re trying to finish something up you may have trouble ending it.. take it as far to the crossroads and then step away. Silence is golden which may cause frustration if you need information… research other possibilities.. It might be better to curl up with a mystery, if possible. 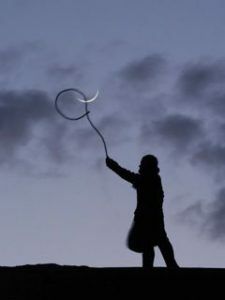 Moon is void-of-course in Sagittarius, the scope of far-flung projects deserve attention, but direction is not apparent. Consider with vigor, but make no commitments. You may also want to physically explore a location but don’t expect to find anything concrete… keep your eye on the gas tank if you go for a long ramble. Moon is void-of-course in Capricorn, organizing and filing is like a well-oiled clock. Goals are on the mind, but when the list is too long, achievement is slight. Make a list and put it away to prioritize another day. You might also like to garden or finish up any loose end from work. Moon is void-of-course in Aquarius you are apt to get caught up in a discussion or a cause which has no resolution. This is an excellent time to visit with friends or bounce around ideas, for pure recreation. If you find that communication is thin, it may be time to reconsider the relationship. Moon is void-of-course in Pisces, creativity may be high, if one is already in the midst of a project. Inspiration is more fluid than electric. This is also an excellent time to meditate and do conscious prayer-work or volunteer activities. Yes! Very true. And I personally experience the effects before the day of. Thus later can understand, like to remember that Mercury is Retrograde. We all are on a Journey. And we are the Vessels. No ship needed. To be WHO WE ARE is not a destination but the journey of many moments. Put together like math, music, the star’s or tender look and a smile. Laughter… more of it during these times! Share your smile and help someone to laugh!